Leading by example, Chief Justice of India T.S. 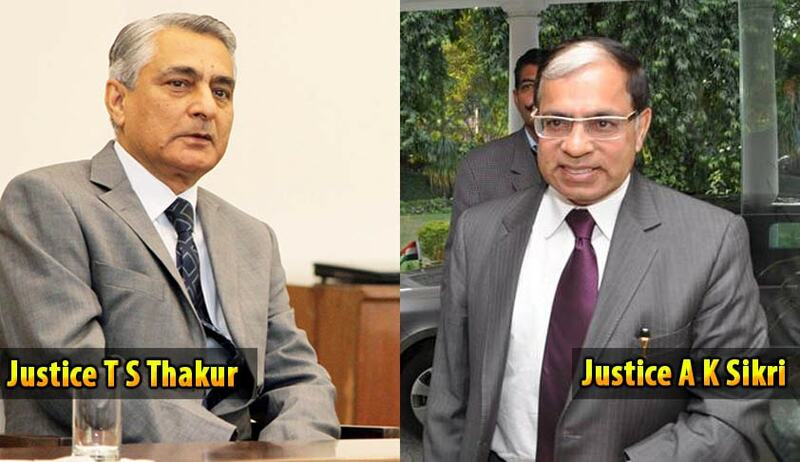 Thakur, and Justice A.K. Sikri have decided to car pool to Court everyday for the next fifteen days, despite being exempt from the Government’s odd-even scheme as they hold constitutional posts. Justice T.S. Thakur has an odd-numbered car while Justice Sikri’s car is even numbered, reported Indian Express. CJI Thakur had supported the scheme during his first interaction with the media after he took over as the 43rd CJI on December 6. “Judges have no problem with the odd-even formula of the Delhi government…. There is no difficulty in even having carpool. If my brother judges agree to it, we can start it soon. We all live nearby and the distance isn’t much. It won’t be a sacrifice but a message would go to the people that if we (judges) can do it then why not others,” he had said. You may read more about the Odd-even formula here.